Are your children picky eaters? Unfortunately, it’s a very common problem that happens to us at one point or another. Fortunately, there are plenty of simple ways to make sure your children get the nutrition they need even when they refuse to eat anything even remotely resembling a vegetable. One method many moms try is sneaking vegetables into foods their children like. While this may not be an excellent long-term strategy, it is surprisingly effective in the short term. If you are ready to start sneaking vegetables in your children’s food, a good healthy muffins recipe is a great place to start. 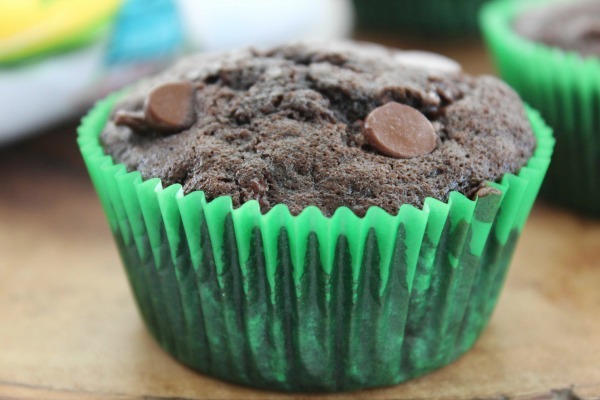 Take this zucchini chocolate chip muffins recipe for example. Your kids will never suspect that there’s a nutritious green veggie hiding in their muffins. They’ll be so busy devouring them and asking for more that they won’t even have time to notice. Of course, it isn’t always just the kids who are picky eaters. If you or your spouse aren’t huge fans of vegetables either, a healthy muffins recipe is a great way to add some more vegetables to your own diets as well. After all, who can turn down chocolate chip muffins? Not me! You love chocolate chip muffins–why not make them a little healthier without sacrificing the taste? 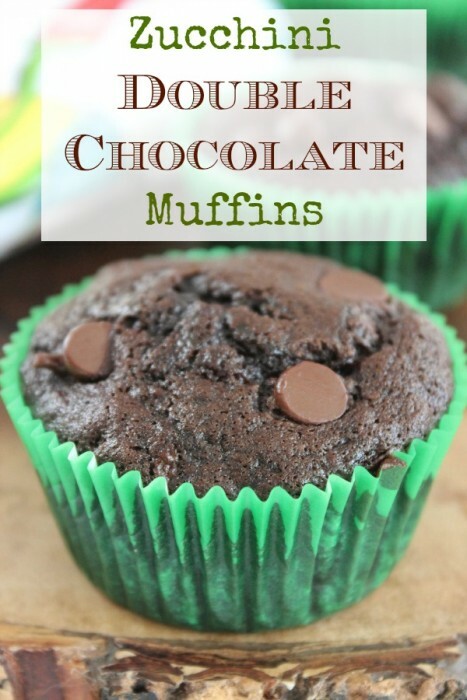 This Zucchini Double Chocolate Muffins is a great way to do just that! Put liners in a muffin tin. Stir together flour, cocoa powder, baking soda, baking powder, salt, cinnamon and chocolate chips. Whisk together the eggs, oil, sugar and vanilla until combined. Gradually add the dry mixture into this mixture until combined. Fill muffin tins about ⅔ - ¾ full. Allow to cool for a several minutes in pan before moving to a cooling rack to finish cooling. I have an unbelievably picky toddler when it comes to food. It was so gratifying to see her gobble these muffins up. Thank you so much for such a great recipe. Oh yum, these look delicious! 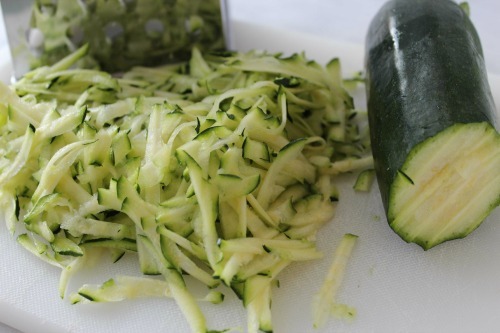 I love how moist zucchini makes things. 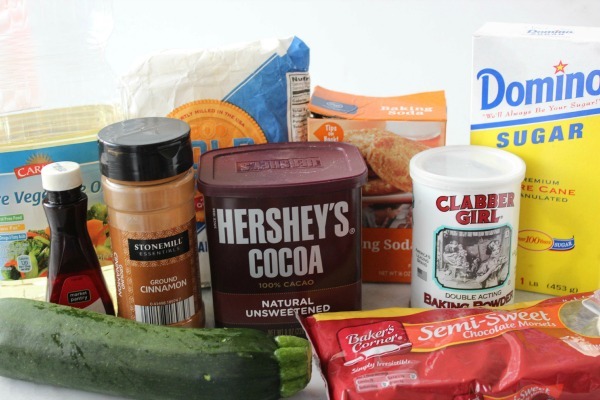 I love zucchini bread and haven’t made the jump to make chocolate zucchini bread yet. It’s on my to-do list with this season’s produce. Looks so good!